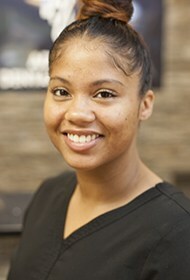 J’aimie has worked in the dental field and our office since July of 2008. She is one of the people our patients most look forward to seeing and talking to when they visit. With a smile on her face, J’aimie helps to make every aspect of the practice run smoothly and ensure our systems and technologies are functioning efficiently. J’aimie studied at Bethany College, and she earned a master’s degree in special education from George Washington University. She grew up in Daisytown, and she has been happily married to Dr. Rairigh since 2002. They have four wonderful children, David, Abby, Ben, and Hannah. She enjoys taking the kids to their activities, playing the piano, and quilting when she finds the time. As a kid, J’aimie’s family took two cross-country motorhome trips, and she hopes to continue this tradition with her own family in the coming years. Chelsea started working in the dental field in 2012, and she became a member of our team in April of 2014. She really loves working on our team to help keep patients’ smiles healthy. Chelsea studied at the Bradford School of Business, and she is a dental assistant with certification in CPR and radiology. Chelsea’s hometown is Brentwood, PA, and she is the youngest of four siblings. When she’s not hard at work, Chelsea enjoys going to the gym, attending concerts, and spending time with her nephews. 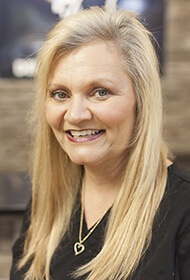 Rhonda started working in the field of dentistry in 2012, and she joined our office in April of 2018. 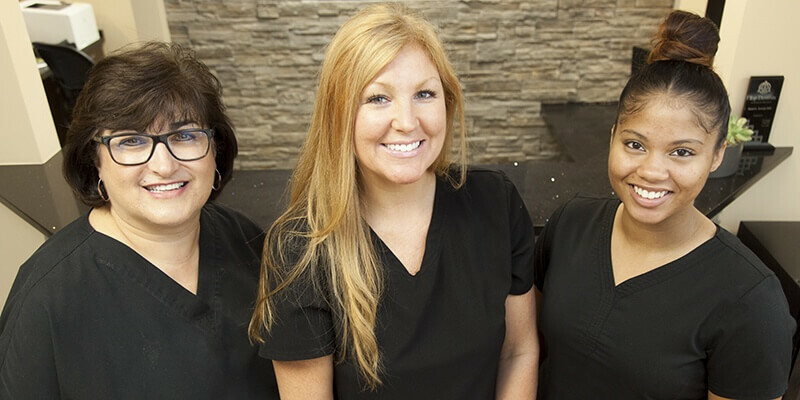 She is dedicated to helping each patient achieve their optimal oral health in our state-of-the-art, relaxed dental office. Rhonda grew up in Murdocksville, and she is now happily married to, Jay. The couple are the proud parents of Collin and Shelby. Rhonda’s husband and two children all work in law enforcement. Outside the office, you’ll find Rhonda reading or enjoying the outdoors by hunting, kayaking, camping, flower gardening, and fishing. In fact, Rhonda and Jay are competitive bass fisherman who compete in ten tournaments a year. 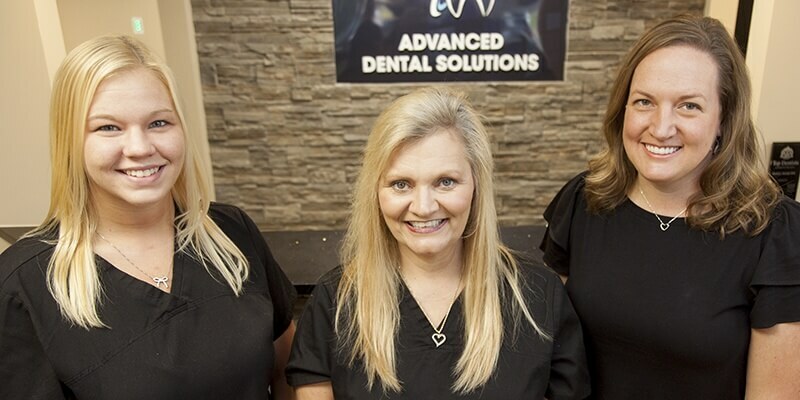 With two decades of total dental field experience under her belt, Toni joined our team in July of 2008, and she’s been working hard to keep patients smiling ever since. She studied dental assisting at the Community College of Allegheny County, and she maintains certification in CPR and radiology. Toni has also completed advanced training in dental assisting during the dental implant process and for Invisalign orthodontics. A native of Pittsburgh, Toni and her significant other, Jason, are the proud parents of one daughter, Jada, and a son, Anthony. She enjoys running her kids around town to all of their sporting events and spending time with friends and family. Sara joined the dental field and our office in 2015. She is truly dedicated to her patients. She loves building positive relationships to deliver healthy, happy smiles. 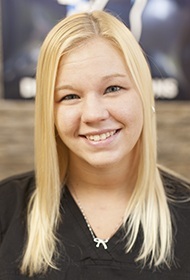 Sara studied at the Bradford Business School, and she is a trained expanded functions dental assistant. She is also certified in CPR and radiology. Originally from West Mifflin, Sara lives with her mother, and she is very close to her sister, brother, niece, and nephew. To relax, Sara enjoys reading and listening to music. 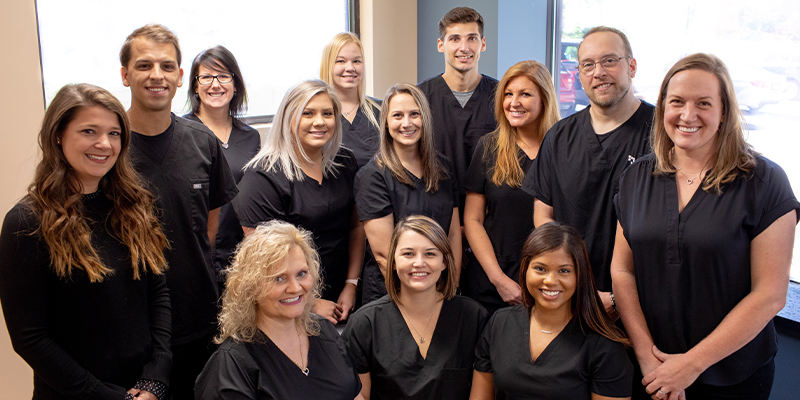 Jessica has worked in dentistry since 2013, and she joined our team in September of 2018. She loves working as a member of a dentistry team in order to give patients the best possible dental care. Jessica studied at York Technical Institute, and she maintains certification as an expanded duties dental assistant, in radiology, in CPR, and as a child abuse reporter. She’s originally from Downingtown, Pennsylvania, and Jessica is the oldest of three siblings. In her spare time, she enjoys relaxing with friends and family, and she has a blackbelt in karate. After nearly four decades working in the dental field, Laury still enjoys coming to work every day to see patients smiling. She’s been a member of our team since April of 2009, and patients love having the opportunity to see Laury for oral hygiene visits twice a year. She holds a bachelor of science degree in dental hygiene from West Liberty State College, and Sara maintains certifications in CPR and radiology. A native of North Canton, Ohio, Laury and her husband and two dogs are currently living on the family farm in Washington County. The farm has been in her husband’s family since 1899. In her free time, Laury enjoys making jewelry, gardening, and playing with her two sweet grandsons. 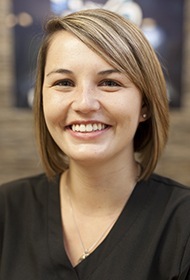 Laken has worked in the dental field since 2016, and she joined our team in August of 2018. She loves getting to know patients and building relationships with them, so they look forward to visiting our dental office. She studied at Seton Hall University and the University of Pittsburgh. Laken has an associate of science degree in dental hygiene, a bachelor of science degree in biology, and she is a trained emergency medical technician. She is also a medic in the Army National Guard. Laken is from Leechburg, and she enjoys running, working out, biking, and hiking, in her free time. 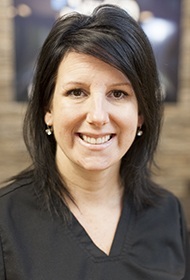 Laurie has worked in dentistry for more than a decade, and she joined our team in July of 2008. She takes the time necessary to develop relationships with her patients to help them keep their smiles healthy in our office and at home. 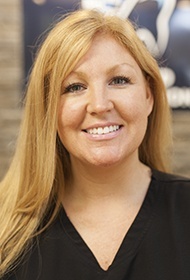 Laurie completed the dental hygiene program at the University of Pittsburgh, and she is certified in local anesthesia, in-office teeth whitening, CPR, and radiology. A Pittsburgh native, Laurie is married with two sons, John and Michael. She spends any free time with her friends and family. 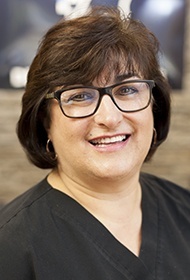 More than two decades working in the dental field means that Anita is one of the most skilled members of our team. 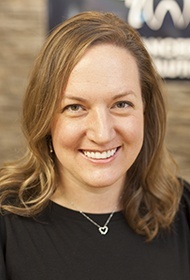 She joined our office in November of 2014, and she truly cares about helping people feel relaxed in our dental office and leave with a smile on their faces. 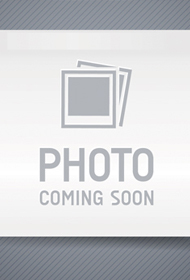 Anita has an associate of science degree in dental hygiene from the University of Pittsburgh. Originally from Romania, she moved to the US at the age of ten and grew up in Sewickley. Anita and her three siblings are still very close, and she enjoys spending free time with friends and family, running, reading, and traveling.